Be a part of the Reef's future. To learn more about Citizens of the Great Barrier Reef, check out our interview with Andy Ridley. 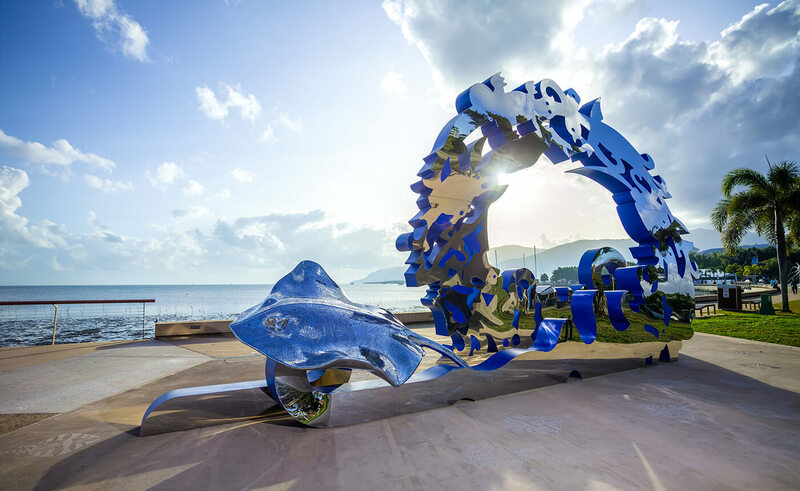 When in Cairns, you can also see the iconic public artwork, “Citizens Gateway” to the Great Barrier Reef located on the Cairns Esplanade. Created by Cairns Indigenous artist Brian Robinson, it is a 6 metre high and 11 metre wide artwork featuring a wave of marine creatures and birds representing the biodiversity of the Great Barrier Reef. You can sign up to become a Citizen - It’s free and you can show your passion for our environment too!